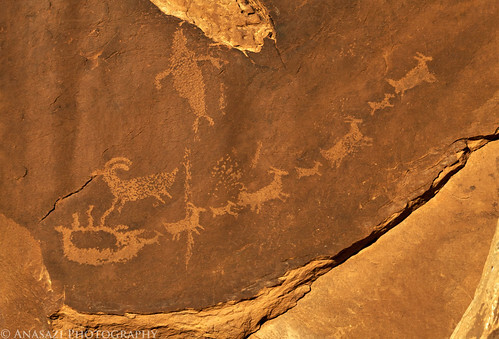 Since it’s Christmas I thought it might be fitting to post a photo of the petroglyph known as Santa’s Sleigh. I took this photo earlier this month after spending the day exploring Mill Creek with my friend Jackson and finding many other new petroglyph panels. We drove by it just as the last rays of the sun for the day were striking it and I just had to stop for a quick photo. I’m sure you can figure out where this panel got it’s name from just by looking at it. Happy Holidays!